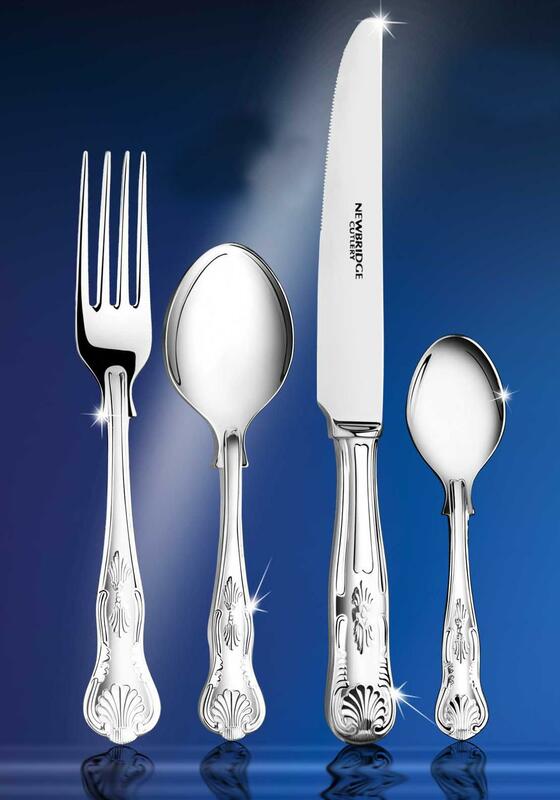 An exquisitely opulent collection, the Newbridge Kings Cutlery is inspired by decadence of a bygone era. 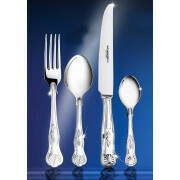 18/10 stainless steel 88pce Kings canteen consisting of an 12 place setting of the following - table knives, dessert knives, table forks, dessert forks, soup spoons, dessert spoons, teaspoons and 4 table spoons. Presented in the Newbridge Home collectors gift box.